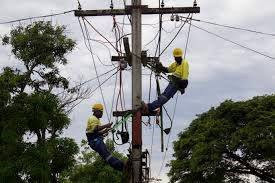 Being a power linesman can be a very risky job as is the case over the weekend when a PNG Power linesman lost his life after being electrocuted during a power restoration exercise in Mt. Hagen city. The state owned Power Company confirmed the incident and an investigation team from the Headquarters in Port Moresby is now in Mt. Hagen to find out what really went wrong on Sunday. The investigation team, which comprises of insurance and technical officers, left Port Moresby this morning for Mt Hagen and have already commenced the investigation. All findings of the investigation will be put out later once everything is complete. Meanwhile, PNG Power is taking care of the expenses for the man’s funeral and other stuff, including helping his family with their needs at this time of sorry for them.